Charles has been part of our Framingham team for over 1 year. He has proven to be a reliable and outstanding caregiver for all his clients. 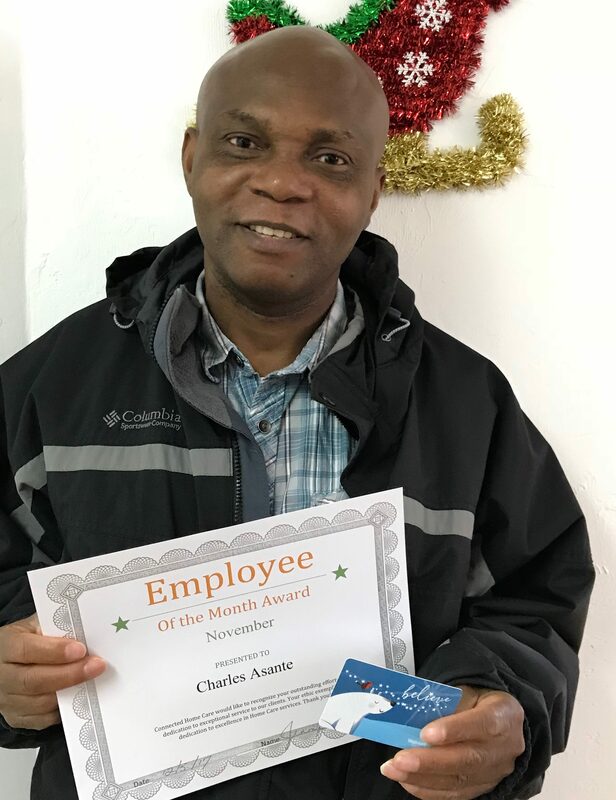 We are very thankful for Charles and the hard work he puts in every day. Thank you!